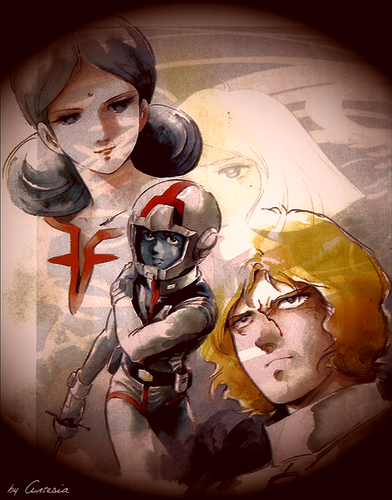 Gundam প্রণয়. . HD Wallpaper and background images in the Gundam club tagged: photo mobile suit gundam 機動戦士ガンダム lalah sune amuro ray char aznable sayla mass. 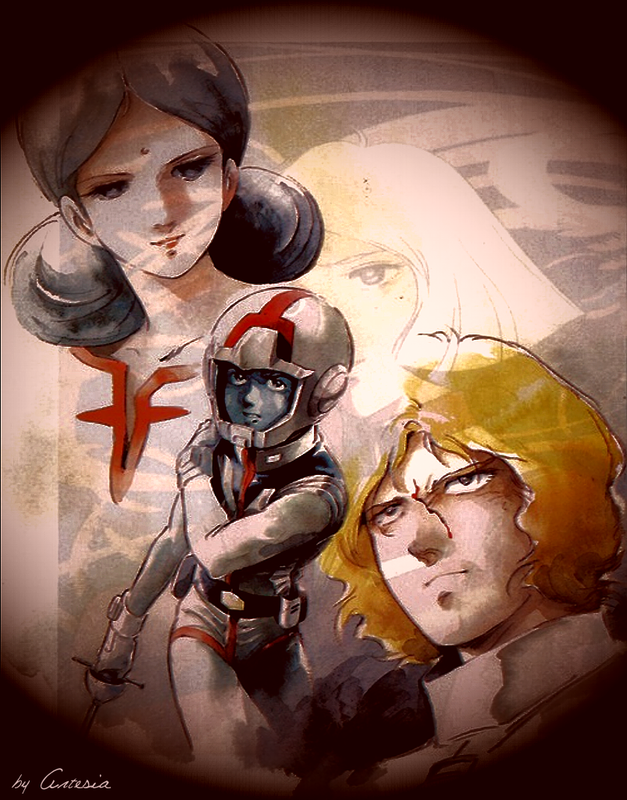 This Gundam fan art might contain নকল মানুষের, কমিক বই, কমিকস, and কার্টুন.